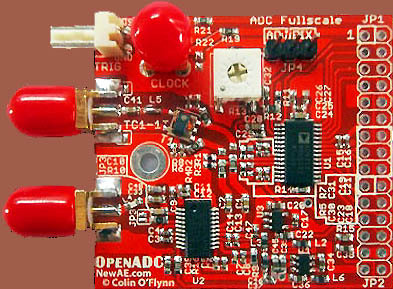 OpenADC developed by Colin O'Flynn is a simple Analog to Digital Converter (ADC) add-on suitable for most FPGA development kits. The OpenADC features a flexible input architecture which makes it suitable for a variety of tasks. Please order the board from the OpenADC Website.